No you’re not crazy, that was former heavyweight champion of the world Mike Tyson performing Salt N’ Pepa’s hit “Push it.” The show is hosted by LL Cool J & Chrissy Teigen and will pit celebrities like Dwayne “The Rock” Johnson, Anna Kendrick, John Legend, Justin Bieber, and yes, even Mike Tyson against each other for the title of Lip Sync Champion. 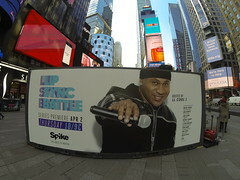 As one of Spike TV’s biggest debuts in original programming, they wanted to get America excited about their newest hit show by letting the people of New York in on the action. 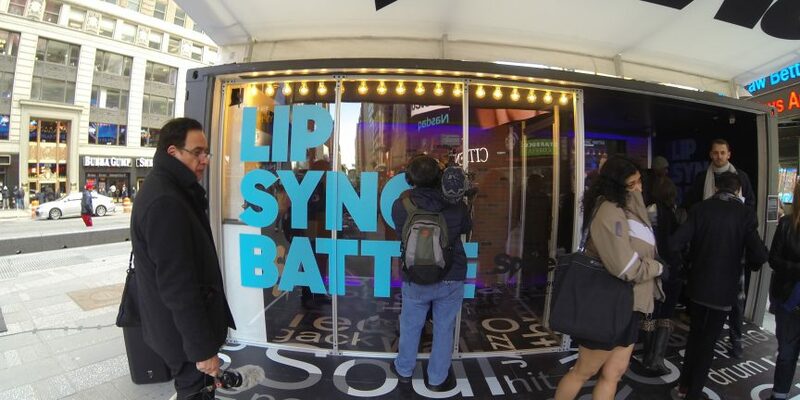 Working with Civic Entertainment Group, we created a mobile replica of the Lip Sync Battle stage to travel to Times Square and then to Rockefeller Plaza for the Today Show. Starting with our 20’ half suite, we mirrored the iconic materials from the show to create one of our most unique structures yet. 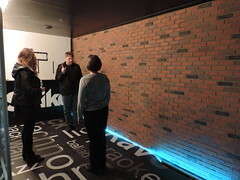 With our friends over at Print Path, we mocked the same typographic floors you’ll see on the show, then installed a light-weight faux material that imitated a distressed brick wall which was up-lit with LED strips. Finally, we lined the booth with awesome vintage incandescent lightbulbs. 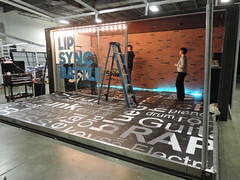 As it started to come together the structure looked like it was ripped right out of the Lip Sync Battle main stage. The environment was divided in to two areas. 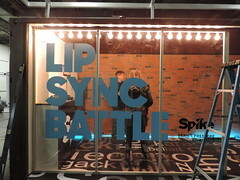 One area contained iPads where people could choose their song, and connect with Spike and Lip Sync Battle while they waited. They would then move into the “recording booth” section where it was show time! A large LED screen would display lyrics and let the “performers” see themselves in action. 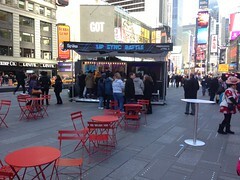 Oh, and did we mention that the live performances were featured on one of the jumbotrons in Times Square? Yeah, pretty cool. 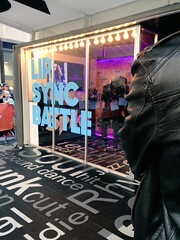 We also branded the outside of the space with Lip Sync Battle signage. 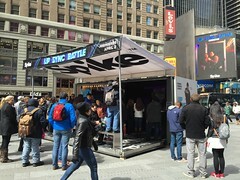 So when it wasn’t turning heads on its east coast road trip from Charlotte to NYC, it was stopping people in their tracks as they made their way through the streets of Times Square & Rockefeller Plaza. 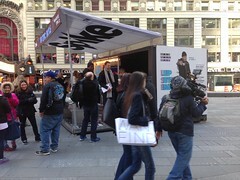 We had an amazing time in NYC with Spike TV and CEG and we’re thankful for the opportunity to be a part of such a fun campaign. 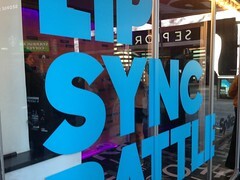 Make sure to catch Lip Sync Battle Thursdays at 10pm ET on Spike TV. Download our FREE eBook to find out how Boxman Studios brings your container project from concept to completion. Stay up to date on the latest from Boxman Studios with our newsletter. So you’re ready to do something amazing with shipping containers? We invite you to download our eBook A Beginner’s Guide to Building with Shipping Containers to ensure that shipping containers are right for your project. If after you’ve looked through the eBook you’ve decided that you’re ready to take the next step, give us a call at 704-333-3733, or fill out the form below to get the ball rolling. Thanks for your interest in Boxman Studios. We look forward to helping you engage your audience like never before.